Delhi, the capital of India, is a captivating blend of Hindi and Islamic-influenced architecture with British Colonial estates and Western-style skyscrapers. A cultural melting pot, Delhi, is a city of ancient civilizations and modern shopping centers. Visit India's largest mosque, Jami Masjid, dating back to 1656 and a World Heritage Site. Spend the next day shopping at Chandni Chowk, Delhi's oldest bazaar. 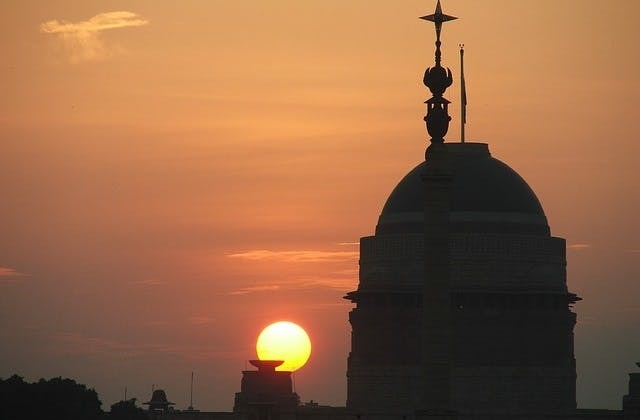 You can also visit Delhi's other two World Heritage sites; Red Fort of Delhi (1640), where you can see the famous lotus-shaped fountain and Humayun's Tomb (1570), with its unusual octagonal shape. Attractive gardens, archeological sites and tea or coffee at the famous Tea Lounge are just a few more of the delights waiting for you in Delhi. DEL is the International Air Transport Association (IATA) airport code for Delhi. The nearest overseas airport to Delhi is Lahore in Pakistan. 48 airlines operate to Delhi. This includes Air Mauritius, Austrian, ANA, American Airlines, China Southern Airlines, Delta Air Lines, Korean Air Lines.